Six Pines Ranch is a family operated facility that has been an Agri-tourism farm for over 30 years. For over three decades Six Pines has been the #1 preferred destination choice, hosting field trips to schools, daycares, senior day trips, Girl Guides, Boy Scouts, etc. We are about creating memories. Lots of idyllic locations on the farm to have your ceremony as well as gorgeous photo opportunities. 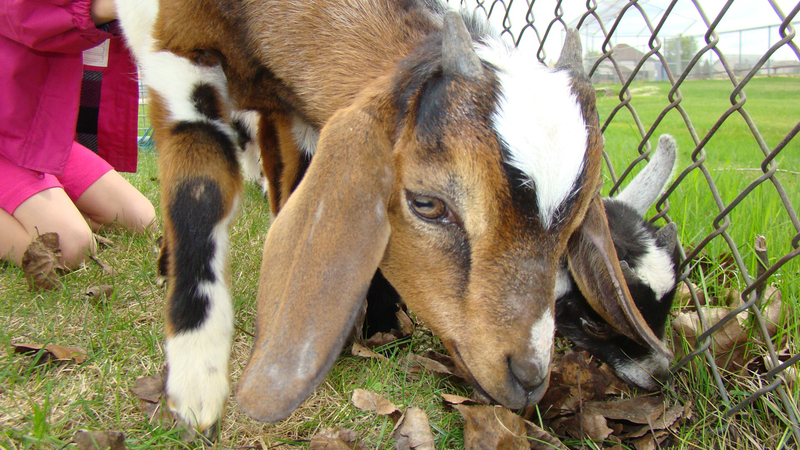 We provide the large animals for petting in our 28 foot self contained trailer. We come equipped with full size portable pen and hand washing station. 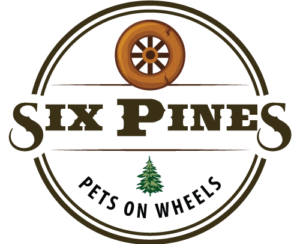 Learn about Six Pines! 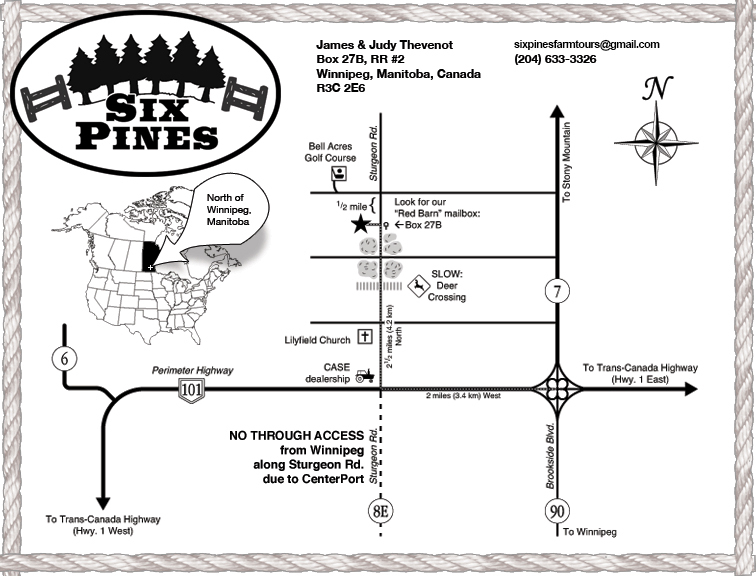 Situated just north of Winnipeg, Canada resides the home of James and Judy Thevenot, proud owners of Six Pines. Six Pines is a family operated facility that has been an agri-tourism farm for over 2 decades. True Country Hospitality at its finest! 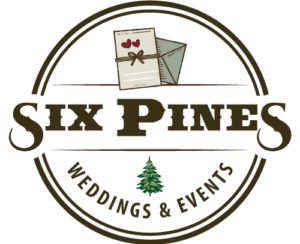 From farm tours, field trips, and weddings/special events to their infamous haunted attractions, Six Pines has taken pride in providing its guests with an experience they will never forget. We give thanks to our many customers and friends we have made over the years. 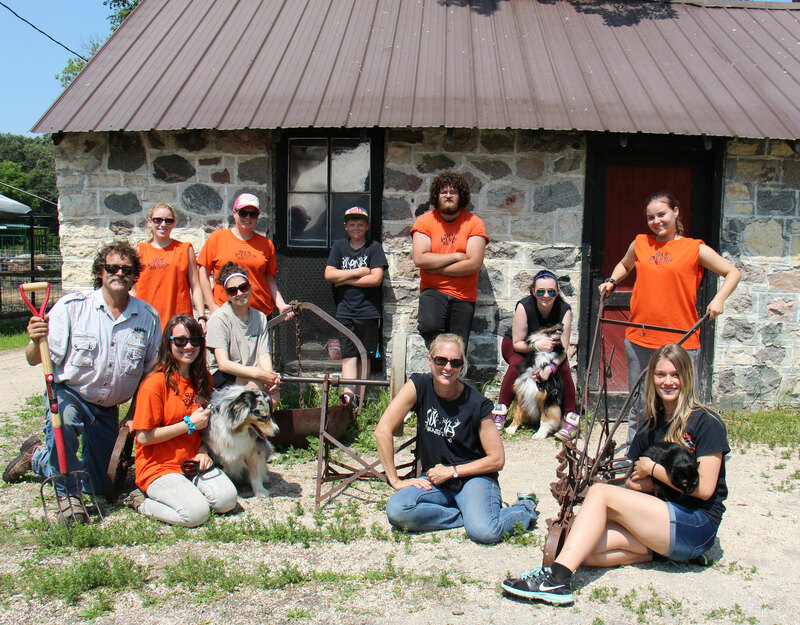 Because of you, Six Pines has become Manitoba’s longest operating Petting Farm since 1988. 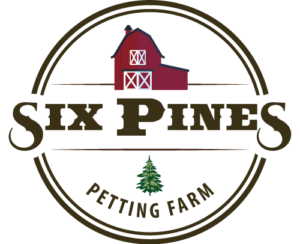 Six Pines Petting Farm "Chewin"
We get many accolades from our guests and we’re proud to share them with you here. It may have rained all day but the kids had a great time. I laughed at the end of our visit when the sun began to shine! My older daughter had to call everyone when she got home and tell them all about her adventures and feeding the baby animals. First time there but definitely not our last!